Want to live that lush life but you’re on a pitiful budget. Give your body the TLC it deserves with the luscious soaps and lotion bars from Nakedly Yours for under INR 600. With an absolutely dreamy list of bath and body products, Nakedly Yours should be your new go-to beauty brand. Their creamy lotion bars comes in delightful flavours like rose, sambuca and lavender and their range of oil-based bath bars come in interesting ranges like Bouquet, a mix of fragrant floral oils, and Black Magic, which is a blend of activated charcoal and essential oils. They also have lemongrass and marigold bath salts to transform your bath into an out-of-body experience. This list of dreams continues with face masks, foot soaks, soaps, body butters, hand and body lotions, shampoo bars, lip balms and lip scrubs. 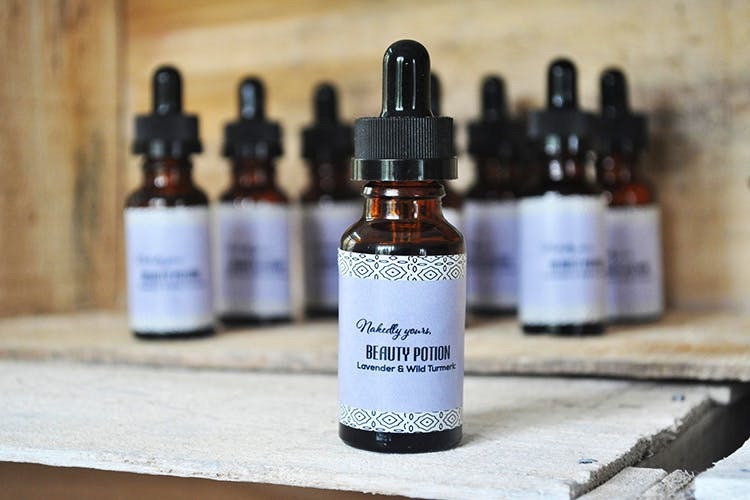 Jumping on to the current trend of face and beauty oils, Nakedly You offers three kinds of potions — Sambuca (with aniseed oil) Tea Tree And Rosemary, and Lavender and Wild Turmeric. What’s more, they even have a whole men’s range of beard products like essential oils and beard wax to groom and keep that facial hair game on point. Nakedly Yours stays true to its name with every single one of its products being a 100 per cent natural concoction, stripped free from any chemicals. With a manufacturing unit in Ooty, all their soaps and lotions are made from ethically sourced ingredients from farms all over the country. They get their essential oils and exotic flowers from Ooty, their coconut oil is from a village in Karnataka, their kokum butter and mango butter from Pune and their bee wax and turmeric from the Nilgiris. Unlike most other brands with the au naturale trope, Nakedly Yours doesn’t burn a hole in your pocket. With prices starting from INR 95 to INR 600, this is handcrafted, natural cosmetics brand is well within your reach. Nakedly Yours occasionally brings out limited edition seasonal products so keep a lookout for those.